Continuing from our previous work with Msimbati Secondary School, which started back in 2004, WAF felt it was prudent to do some revocation work and modify some classrooms and the girls’ dormitory which the Foundation had constructed back in 2004. In May 2013, WAF together with their Directors, donors and volunteers, completed the renovation work which involved painting of Msimbati secondary school classrooms, girls’ dormitory, rehabilitation of school structures and school grounds. One of the factors affecting secondary school students is not having enough time for personal study. 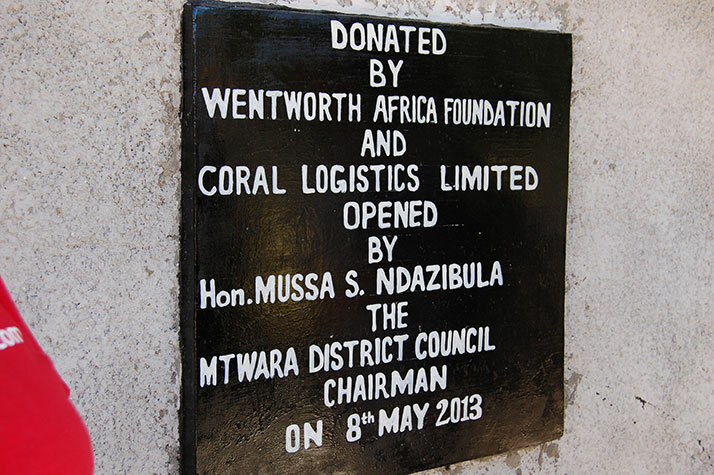 In 2013, Wentworth Africa Foundation connected Msimbati Secondary School to electricity for the first time since the school’s inception in 2004. The results has been that students are able to study at the night. We believe this project will give the 400+ students an opportunity to study whenever they can and thus increase their chances of continuing with higher education.